The company emailed us the codes ahead of time. We had no problems entering and exiting the property. 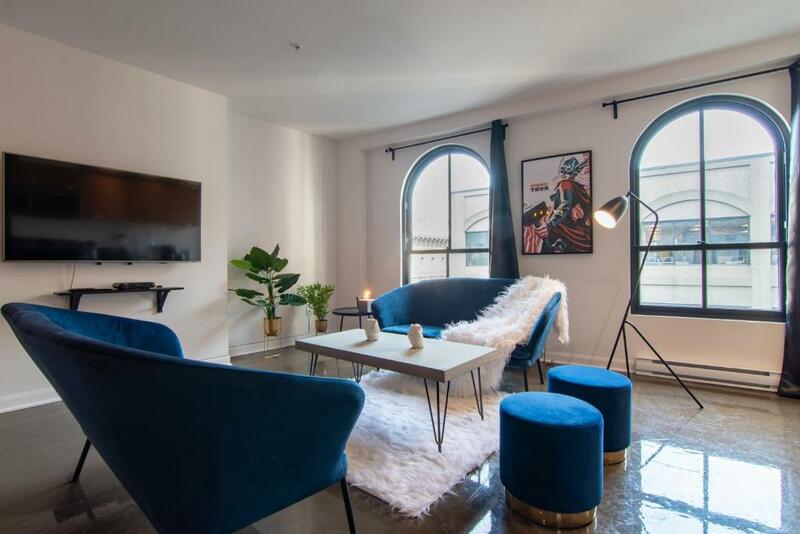 What was really surprising was that they accidently double-booked us and gave us a free upgrade to our apartment (2 bdrm/1 bath to 2 bdrm/2 bath).. The apartment was just like the pictures and having the washer/dryer in the apartment was great. We can't wait to return! Process: Quick & easy process to get the unit keys, no hassle. 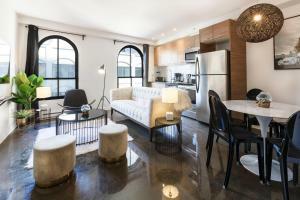 Location: Amazing location, in the heart of old port / Montreal. All the chic restaurants, bars, clubs, etc in the surrounds / walking distance. Unit: Super clean, everything within the unit, it feels like a home away from home. Management: They are very helpful and accommodating, will also handle any special requests, truly appreciate their help & support. We were pleasantly surprised at how excellent the property was. 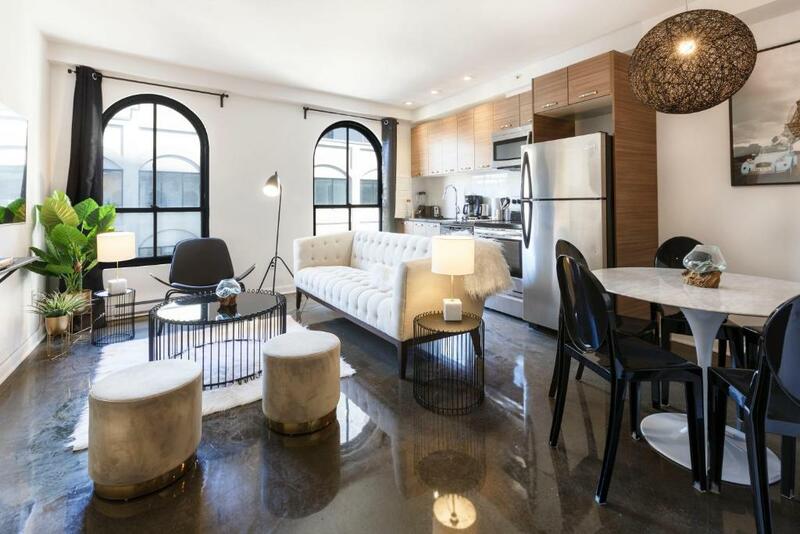 From the location, decor, size, everything. It was an easy walk to most of the major sites in Montreal and we never really had to take public transport to get anywhere. Would definitely stay here again when we visit. You can't beat the location in Montreal's old port, it's a fabulous location. 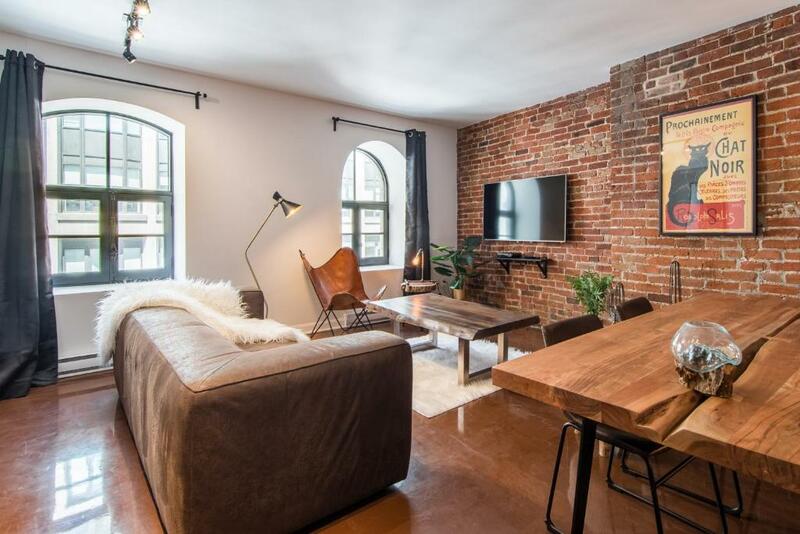 The building has a charm with some exposed brick and everything is accessed through codes so you don't have to deal with keys. Yeah! My suite was quite spacious with all the modern amenities including laundry right in the suite. There was a flat panel television and the Internet was good quality high-speed Wi-Fi. I would definitely recommend. 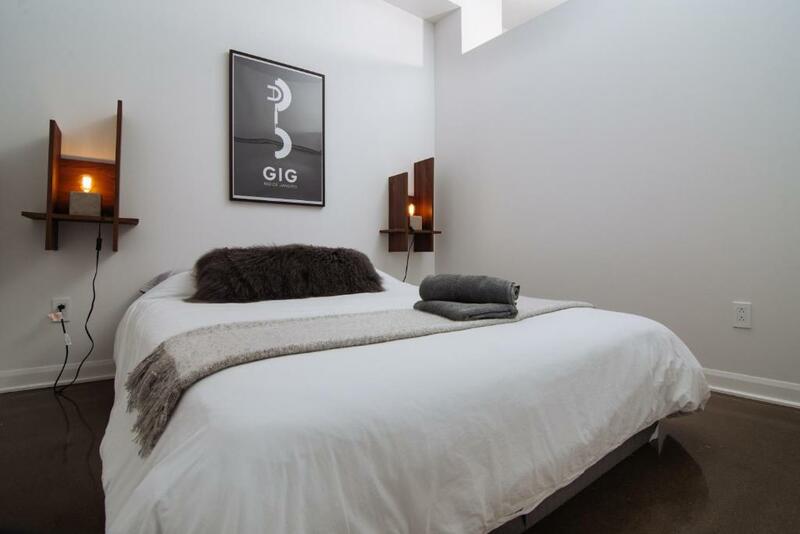 Very clean, excellent location, and super comfortable. This place is EXCELLENT!! Friendly staff, prompt attention, well equipped kitchen, great location. 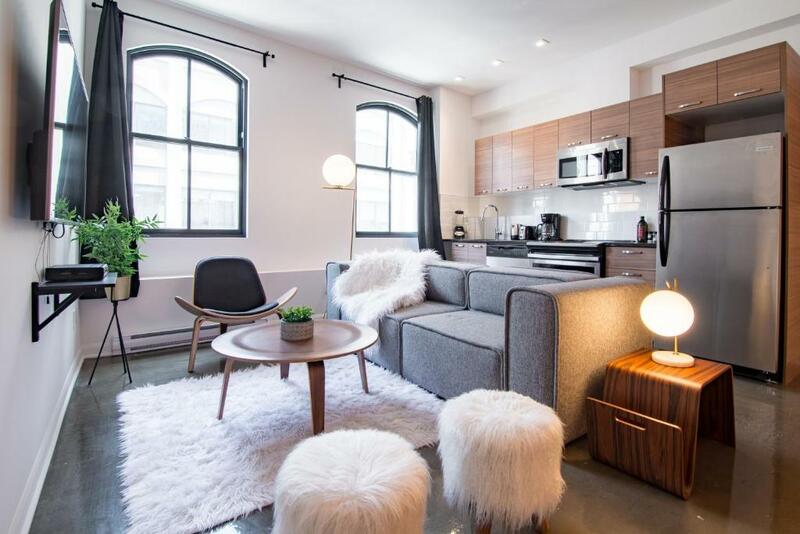 Lock in a great price for 1820s Style Boutique Lofts in Old Montreal by Nuage – rated 9.1 by recent guests! 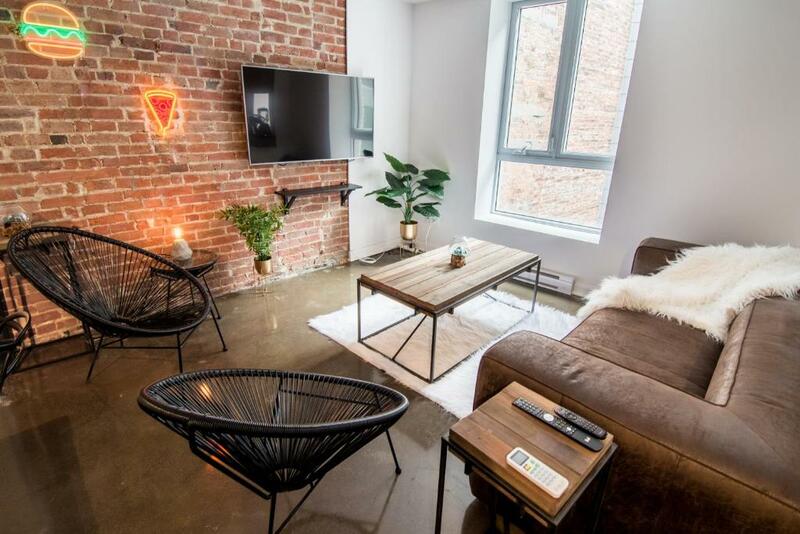 One of our top picks in Montreal.Set 1,000 feet from Convention Center Montreal, Penny Lane - Old Port offers air-conditioned accommodations. Each unit is equipped with a fully equipped kitchen with a dishwasher, a seating area with a sofa, a flat-screen TV and a private bathroom with shower and a hair dryer. An oven and microwave are also offered, as well as a coffee machine and a kettle. Noter Dame Basilica Montreal is a 5-minute walk from the apartment, while Underground City is a 6-minute walk away. The nearest airport is Montreal-Pierre Elliott Trudeau International Airport, 9.9 mi from Penny Lane - Old Port. 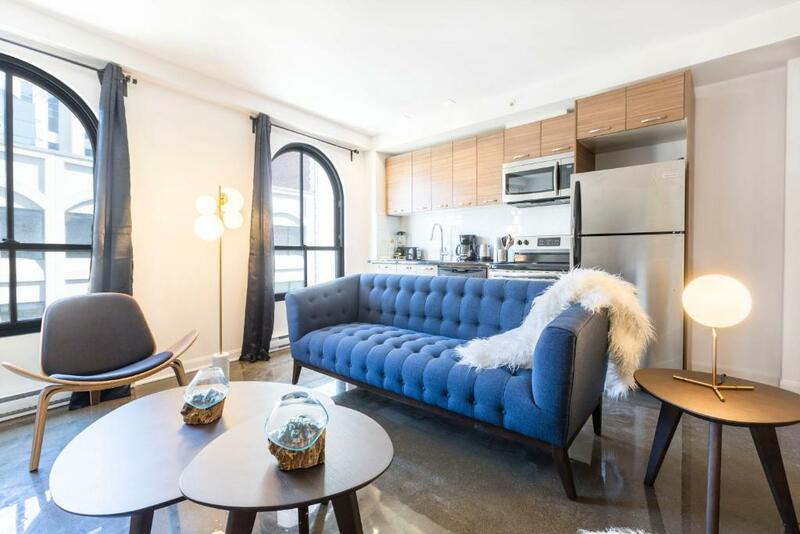 뀐 Located in the top-rated area in Montreal, this property has an excellent location score of 9.4! 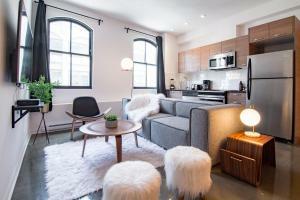 When would you like to stay at 1820s Style Boutique Lofts in Old Montreal by Nuage? Public parking is available at a location nearby (reservation is not needed) and costs CAD 25 per day.